Welcome to Revolution in South Asia! This RevSA site will be developed, as rapidly as possible, as a lively and interesting resource focused on the Maoist revolutions of South Asia — including breaking news, documents, analysis, and key controversies. Promote this new website — link to it from your own site,s email the url to interested people, post this announcement on relevant discussion boards/lists. All people interested in radical change need to know about these important revolutionary movements. Use this site to raise your own understanding of the issues and controversies surrounding of these Maoist “New Democratic” revolutions. Help us uncover substantive materials to post here. The RevsA site will not be limited to cheerleading: We will post critical articles and the charges of the revolution’s enemies. We want explore the differences and debates developing among the revolutionaries — as they face difficult choices and dare to propose unexpected solutions. we hope to provide readers with an many-sided sense of these living conflicts. Please email us if you know of material we should post — including those you have written yourself. Make your own comments on the materials and controversies posted on RevSA. Please get in touch right away if you are interested in helping in an ongoing way. We need to be developing posters, flyers, teach-in materials, study guides and other online materials. We are planning public event at campuses. And we need help moderating and maintaining the new site. Events are moving quickly in Nepal, in unpredictable ways. There are several armed forces in the field, and the broad Nepali populations is mobilized to transform Nepali society — with very high expectations. The future is unwritten. The possibility of deepening revolutionary crisis and the danger of counterrevolutionary action all demand that we act quickly and boldly. Mao wrote “Political power grows from the barrel of a gun.” And the whole of history and class society confirms that insight in many subtle ways. In a series of posts we are documenting the rising intrigues of the U.S., reactionary parties and forces within the offical Nepali army — all aimed at preventing the revolutionary change that the people need and increasingly want. In that situation, the leadership of the Maoists are working with care to rally their own forces, and to expose, divide or neutralize their opponents — all in preparation for possible decisive confrontations lying ahead. The following is an excerpt from Chairman Prachanda’s interview with Sudheer Sharma and Prashant Aryal published in Nepal Magazine (Thanks to UWB for the translation from Nepali). Q. Regarding the kind of relationship that has been there for centuries between the king and the army, don’t you think the army is still loyal to the palace? There is an emerging conspiracy to prevent the Nepali Maoists to exercise national power — in the wake of their overwhelming victory on April 10. The Hindu in the article posted here that American ambassador Nancy Powell is “actively pushing” the idea that the discredited reactionary Girija Prasad Koirala should remain Prime Minister. A section of Nepali Congress says Maoists must first oust Koirala to stake claim to the top post. Amendment to interim constitution to allow PM to be removed by simple majority proposed. the outlines of a possible crisis and decisive test of power are emerging. And these counterrevolutionary actions of the U.S. demand active exposure and opposition. After first “congratulating the people of Nepal on their historic Constitutional Assembly election,” the United States is now seeking to subvert the electorate’s mandate by lobbying against the Maoists heading the next coalition government. According to political and diplomatic sources, the U.S. ambassador in Kathmandu, Nancy Powell, is “actively pushing” the idea that Girija Prasad Koirala should continue as Prime Minister. Under the interim constitution, all major decisions, including the appointment or removal of the Prime Minister, must be taken by consensus, failing which by a two-thirds majority. With the encouragement of the Americans, a section of the Nepali Congress (NC) leadership is now citing this provision to argue that the Maoists will first have to oust Mr. Koirala before they can stake a claim to the top post. This appears as part of a larger article on United we Blog. From a number of sides, previously powerful parties in Nepal are making demands that would effectively prevent the Maoists from leading radical political and social change in Nepal. Their demands which openly oppose the results (and mandate) of the April 10 election are intended to rally counterrevolutionary forces in the society (and the official army) in a stand against the revolution’s advance. IN one prominent example, Shankar Pokharel (a leader of the CPUML, a conservative party with a communist name) said that the next government could be formed under nominal Maoist leadership but the power should be diluted (and neutralized) by giving the posts of president, Prime Minister and chair of Constituent Assembly (CA) to other parties. Meanwhile the pro-Indian Congress Party is being put forward to continue to run the country — even after its clear defeat. 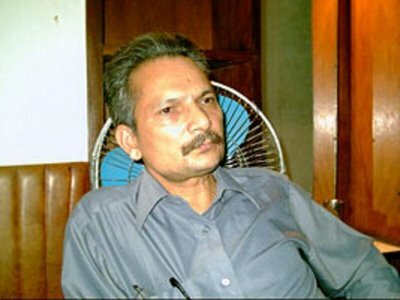 In reply the Maoist Leader Janardan Shrma ‘Prabhakar’ (picture) said in reply that the Maoists would lead the next government under leadership of chairman Prachanda. He challenged other political parties to say that they would not respect the people’s verdict if they want to continue to lead the government. Our RISA site will publish statements and views from many different forces reacting to the revolutionary movements in Nepal and India. In this significant essay, Dhakal, the editor of the Kathmandu Post, rejects attempts to prevent the Maoists from leading the next stages of Nepal’s political change. this is in the face of dangerous machinations within the Nepali Army and conservative parties. He specifically warns against repeating the events in countries “where army and international forces have converged to block popular but radical political parties from ascending to power.” This essay was posted on April 25, 2008 by the Kathmandu Post. Some people in the Nepali Congress (NC) are still contemplating a government under its leadership. One could have brushed this aside as a silly thought if it had come from some NC mavericks. But it should be taken seriously since it has come from people close to Prime Minister Girija Prasad Koirala. It is hard to believe that they could have floated this hard-to-swallow proposal without GPK’s consent or at least without reading his mind. 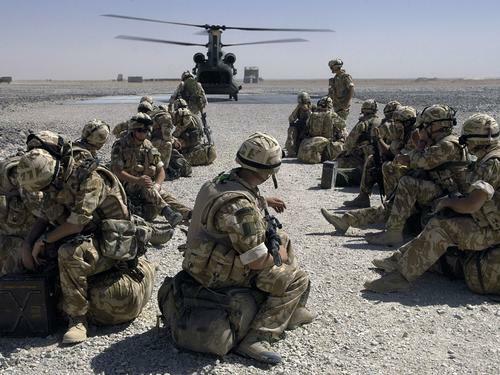 It assumes a serious proportion also because some sections of the security forces and some quarters in the international community also think that way. This article was first posted a year ago, on May 10, 2006, before the many complex development of the last months. It appeared on the website of International Nepal Solidarity Network. After King Mahendra (Gyanendra’s father) and his Royal Nepalese Army (RNA), overthrew his government in 1960, the first democratically elected Prime Minister of Nepal BP Koirala asked himself in his jail diary: “Is the democratic system in Nepal compatible with the preponderance of the Nepalese Army?” After five decades of the democracy movement in Nepal, this question still haunts the Nepalis. Mesmerised by the royal proximity, Nepali democrats have time and again lapsed into amnesia, comfortably and willingly. But by one or another way the question has found expression and has been answered negatively in the popular upsurges and daily struggles of the downtrodden. 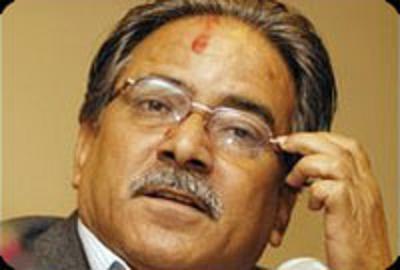 As Nepal’s foremost revolutionary leader Prachanda stated, just after the royal coup in February 2005, “Ultimately, the so-called royal proclamation of February 1 has not only exposed the irrelevance of reformism in the Nepalese politics, but also shattered the collective lethargy of the parliamentary political politics.”. Although the reinstatement of the old parliament once again poses the danger of the relapse of the “collective lethargy”, the politically charged Nepali masses are ever watchful of the parliamentarist deviations. Along with the issue of forming the Constituent Assembly, the question of controlling the RNA is going to be one of the decisive (and divisive) elements in the course of the Nepali democratic revolution. Two years ago Neil wrote: Instead of joining the mainstream the Maoists intend to define the mainstream. Now he writes: The Maoists have not joined the mainstream. Now they are the mainstream. The main point was that the Maoists had used their armed struggle to gain genuine public support, and that instead of joining the main stream they would define it. What has happened over the last two years, and what has been accomplished? 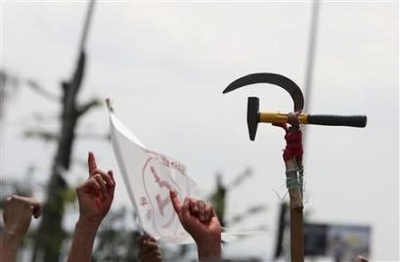 The mainstream press in South Asia has been reporting about international statements made in support of the Maoist election victory of April 10. Kathmandu, April 17 (IANS) As Nepal’s Maoists are set to lead the government after years of guerrilla war, congratulations are pouring in from communist parties worldwide who say the electoral victory would pave the way for a new world order. On Thursday, the seventh day of ballot counting after last week’s historic constituent assembly election, the Communist Party of Nepal (Maoist) – once hunted down by security forces and Interpol as a terrorist organisation – remained way ahead of its rivals, winning 119 of the 224 seats declared so far. The first felicitations came from the Communist Party of Greece (Marxist-Leninist), which said the victory was proof of the Maoists’ ‘strong ties with masses in Nepal as well as the determination of the Nepali people for a new, peaceful, independent, sovereign and democratic republic of Nepal’. Gilles Boquerat is a researcher associated with Center for Indian and South Asian Studies, Paris. Currently based as visiting scholar at the Institute of Strategic Studies, Islamabad. Our South Asia Revolution site will reprint substantive articles providing useful background to studies of the revolutions of South Asia. Posting such articles here does not mean agreement with their views. 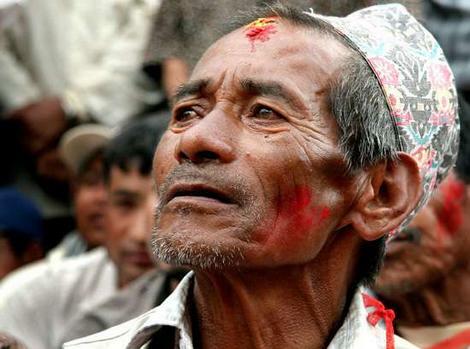 This article was written two years ago, before several significant new developments related to questions of nationality in Nepal..
A decade ago, in February 1996, the “People’s War” was launched in Nepal. In a relatively short period of time, the Maoist movement made its presence felt in almost each of the 75 districts of Nepal. Such headway cannot just be explained by the overall disappointment vis-à-vis the high expectations ensuing from the end of the autocratic monarchy and the return to a multiparty democracy in 1990. Political instability resulting from party infighting caused by personal rivalries and limited opportunities for socio-economic advancement for a relatively fast expanding population have quelled the enthusiasm of those who expected a government more responsive to people’s legitimate needs. Popular resentment just waited to be exploited by a movement substituting a radical discourse to a reformist agenda which also failed to usher in a more egalitarian social order diluting the traditional Bahun (Brahmin)-Chhetri (Kshatriya) dominance. On the receiving end are the ethnic groups whose grievances have at least received a greater echo post-1990. After reviewing the status of the indigenous people in the Nepalese society and polity, this paper will analyse the role of the ethnic communities in the development of the Maoist movement, keeping in mind that their concerns have to be addressed by whoever is ruling the roost in Kathmandu. Paper Presented By The Anti-Imperialist Revolutionary Forum Nepal At The International Communist Seminar on 2-4 May 2004. 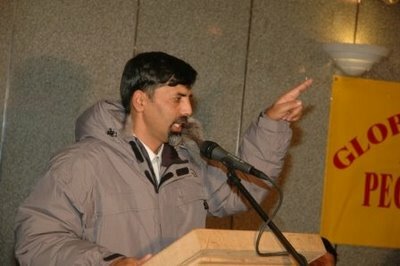 This was a forum where various forces expressed their views on key dividing line issues of communist theory and history. 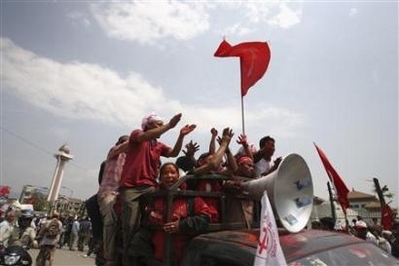 It gives a sense of the way the Communist Party of Nepal (Maoist) addresses those questions. Dear Comrades, We would like to extend our heartfelt greeting on behalf of the revolutionary masses of Nepal while we are gather here in a seminar in a very important, very timely and very burning issue of the present day. The Viswa Hindu Parishad cannot understand it. Nepal is the only Hindu Kingdom in the world; substantial sections of the people there are of north Indian ethnicity and bear names of Hindu gods and goddesses; the ruling family has long-time links with India and marries into the Rana clan dispersed along the higher and lower reaches of the Indo-Gangetic valley. And yet, Nepal is hardly benevolent land for Hindu chauvinism. Maoist communists, who are engaged in a relentless guerrilla war against the country’s regime for the past seven years, control most of the countryside. Even in the national parliament, the second largest party happens to be the Communist Party of Nepal (United Marxist-Leninist). So, irrespective of whether one applies the criterion of parliamentary or extra-parliamentary influence, Marxists, and not revanchists of the Togadia-Singhal brand, reflect the overwhelming vox populi in Nepal. Nepal: Maoists are Not Terrorists! government in the Himalayan state. 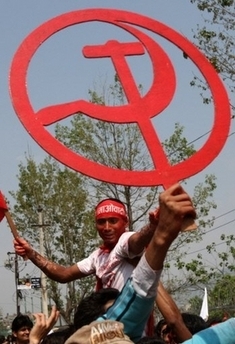 the Communist Party of Nepal-Maoist. of the party, was quoted as saying by the Telegraph Nepal online on Saturday. Down with Parliamentarism! Long Live New Democracy!